Killer Characters: What is it about Libraries? What is it about Libraries? 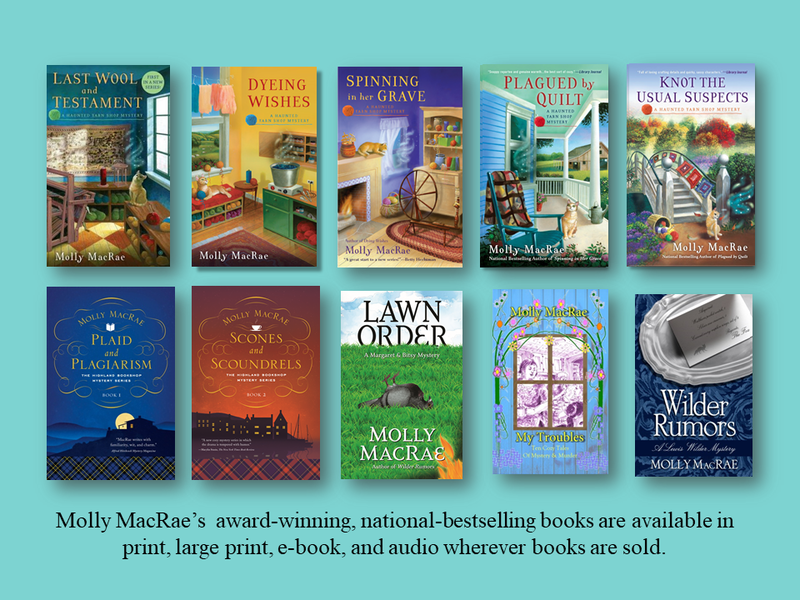 Before I retired, before I uprooted my Midwestern American life to run a bookshop on the west coast of Scotland, I was a librarian. For thirty-five years I spent my days connecting people with information, inspiration, imagination – in short, with books. I love libraries, everything they do and everything they stand for. That's why I've loved our month-long celebration of libraries here at Killer Characters. Today it’s my turn, and I offer to you some of my favorite library quotations (and a chance to win books for your public library). "The closest thing we will ever come to an orderly universe is a good library." "In a library we are surrounded by many hundreds of dear friends imprisoned by an enchanter in paper and leathern boxes." "A library is not a luxury, but one of the necessities of life..."
"Libraries have always seemed like the richest places in the world to me, and I’ve done some of my best learning and thinking thanks to them. Libraries and librarians have definitely changed my life and the lives of countless other Americans." "When I was young, we couldn't afford much. But, my library card was my key to the world." "What in the world would we do without our libraries?" What do you love about libraries? Let me know in a comment below. 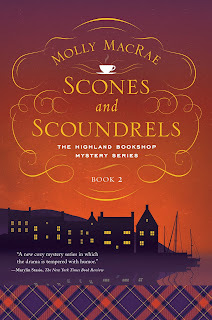 My author, who is also in love with libraries, would like to send your public library copies of each of the Highland Bookshop Mysteries. Remember to include your email address for your chance to win. I love the connection libraries provide. They offer programs and books so yo can connect to people and books. You are so right, Debby! Thanks for stopping by the blog, today. I'm so glad you like the book, Sarah! Your standing weekly library dates sound wonderful, and good for you for starting your son out on a life of library love! I've loved libraries as a place to feel safe and comfortable since I was a young child. My library branch is the Howard Beach Branch of the NYC Queens County Library System. I supply them and others with author bookmarks to share with the patrons and am friends with all the librarians in that location. I'd love to see them win copies of the Highland Bookshop series. You're a true friend of libraries, NoraA. You're taking care of them, and I'm so glad they've helped take care of you. The world needs safe, comfortable places. Thanks for stopping by the blog today. I am a book junky! My children knew that I wouldn't buy them just any gizmo they saw, but if they wanted a book, no problem. I try to balance my "addiction" by getting some books from the library, rather than buying them all. You're a smart woman, Libby! I used to give my children their allowance in books instead of cash. They're in their thirties, now, and they're book junkies, too. Thanks for stopping by the blog today. If we ever move, my husband and I have a nearby public library on a must-have list! If I hadn't become a teacher, I think librarian would have been a perfect match for me. As a teacher, I used both my school library and public library for materials to use in my classroom. I loved our school librarians! Public libraries, school libraries - they're all wonderful, aren't they? We're so lucky to have so much access to free books! I'm sure you're a great teacher, Becky, but you would have been a great librarian, too. Yay books! I grew up going to the library weekly during the school year and almost daily during the summer. It was my second home. That's fantastic, Harbinger! What would we do without libraries? I love libraries! My Mom use to take my Sister and me to the library every week. My Mom loved to read and passed it on to me and my Sister. Bless you and your library-loving mom! Thanks for stopping by today, Dianne. Growing up the library was the only place to get books other than our school books for my sisters and I. Money was very, very tight so we couldn't buy books. The wonderful librarians helped us with homework, find a book, or just listened to us. My parents were avid readers as well and we would all go. When I grew up and moved to Waveland, MS I went to work for the Hancock County Library system and passed on what those ladies gave to me. What a lovely, lovely memory, Karen! You are truly paying it forward. Hooray for libraries and hooray for dedicated people who work there! I love libraries because they make the universe available to all seekers. A library lover since childhood, I’m grateful for the knowledge and enjoyment they offer. Thank you libraries and librarians! Lldawnjm (at) gmail (dot) com. Exactly, Jane! Libraries welcome everyone inside and at the same time they offer the whole, huge universe to step out into. And they exist thanks to the people who love them. Thanks for stopping by the blog. Fantastic, Eileen! Libraries offer the world to so many people, and you're doing your part to make it happen. Lovely! I love libraries! Call me old school but I love the feel of holding a book instead of doing the internet thing. It's an excellent place for research with so many books at your disposal. There's new books coming in and a chance to find that old book that you missed but you find that you love so much. Also, to me, it's a great place to go to enjoy the quiet and to get lost in the pages of a book. In today's world there are not many peaceful places that you can find. Thank you so very much for your generosity and for the chance to have some great books donated to my local public library. W are a small town of less than 3000 population and we are the county seat so our library can use all the assistance it can get. What a lovely tribute to libraries, Kay! They're great places, and all the better for having such great friends as you. Yes! Libraries are the best vehicle ever invented. Thanks for stopping by the blog, Doward. I go to the library all the time in order to use the Internet and check out materials. Libraries offer so many services and opportunities, don't they? We're so lucky to have them! Simply said, I am truly home when i enter a library.